Luxor LP34 series polyethlene computer laptop carts are proudly made in the USA and will not scratch, dent, warp, chip, rust or discolor. 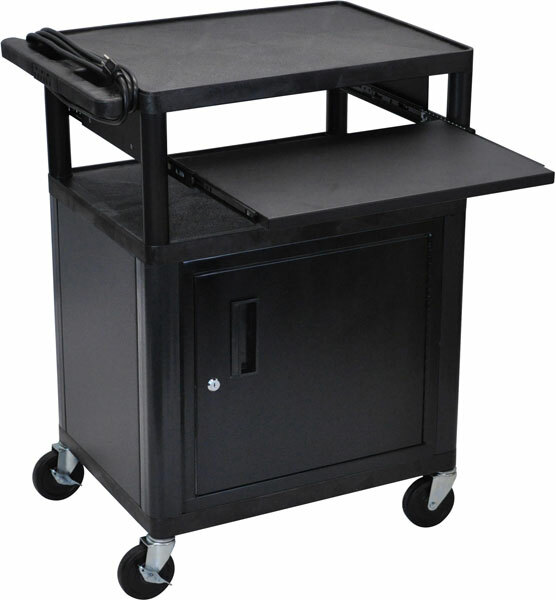 Designed for the education market, these carts feature a pull-out laptop shelf, 3 outlet electric assembly and 15' cord with cord wrap. 4" casters ensure smoother travel over sidewalks between buildings and over door sills. 400 lb weight capacity and easy assembly make these Luxor carts the right choice for your school.